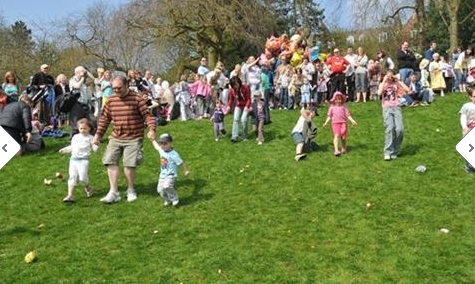 Organise your holiday accommodation and attend the Easter Egg Rolling event 2013! Are you thinking of attending the Easter Egg Rolling event 2013 with your family? This Easter, Preston promises to keep you entertained with a fantastic variety of festivals, markets, funfairs and theatre shows including the traditional Egg Rolling event. This year’s Egg Rolling, in addition to the bonnet competition and egg rolls, will bring the magical world of Easterland. Live music, mad scientists, puppet shows and even a giant Victorian robot will bring the park to life around you whilst you follow the Easter trails around Avenham and Miller parks. Don’t forget to make your special Easter bonnet for the competition and, most importantly, bring your Easter eggs to roll down the hill - this is sure to be a cracking family day out. If you are looking for somewhere to stay that is near the venue for this event, type in PR1 8JT on our website The B & B Directory www.thebandbdirectory.co.uk and see B & B’s listed in order of distance from this location. 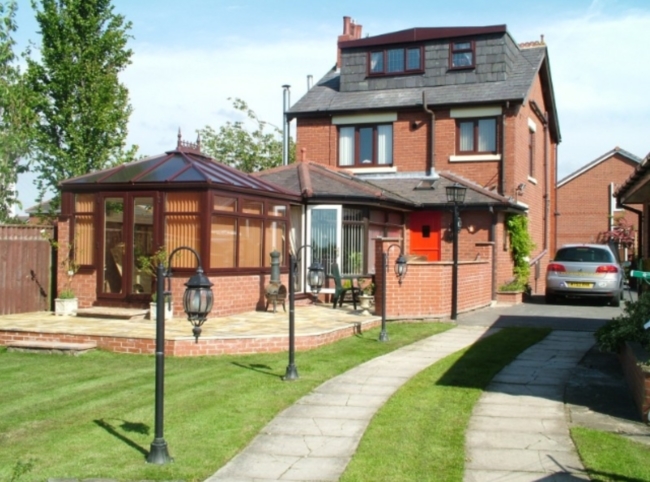 Situated at the very heart of Lancashire Sleepy Hollow is an ideal base for a short break or a business visit. The B & B Directory offers the visitor a user friendly experience for finding the accommodation they need. We use up to date technology in the form of Google Maps so that customers can easily locate accommodation in or near the location they need to go. Advertising with us is simple and we don't charge agency fees or large advertising rates giving you greater flexibility and saving you money! We hope you have an enjoyable Easter 2013. 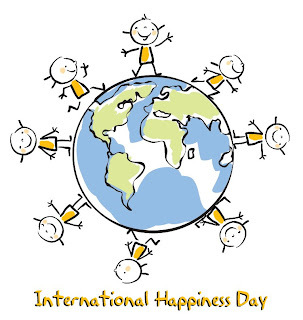 Firstly, happy International Happiness Day from the B & B Directory www.thebandbdirectory.co.uk, we all very excited that today marks the first day of spring! Have you planned your Easter Spring break? Book your holiday accommodation on our website.. We are not an agency and all your bookings and enquiries go direct to the B & B owners. One of our featured B & B’s is Coton Lodge based in Guilsborough, Northamptonshire. Visitors to Coton Lodge enjoy comfort, peace and relaxation in a country house atmosphere created by elegant interiors and small touches such as log fires in Winter and tea in the garden in the Summer. “A little piece of paradise as one guest described their stay”. Whether staying for business or pleasure, guests are welcome to enjoy the gardens and for keen walkers there is an extensive network of public footpaths close-by to explore the countryside. A stay in Northamptonshire is a revelation to many visitors when they discover how much the county has to offer. So…let your Spring break begin. 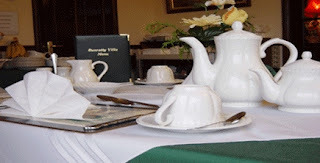 The B & B Directory offers a comprehensive collection of Bed & Breakfasts, Guest Houses & Hotels throughout the UK and Ireland for either your business or pleasure trip. There's plenty of accommodation to choose from whether it's England, Wales, Scotland, Northern Ireland or Ireland you're interested in visiting. 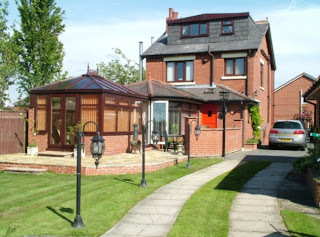 Would you like to advertise your B & B on our website? The B & B Directory offers the visitor a user friendly experience for finding the accommodation they need. We use up to date technology in the form of Google Maps so that customers can easily locate accommodation in or near the location they need to go. Advertising with us is simple and we don't charge agency fees or large advertising rates giving you greater flexibility and saving you money! 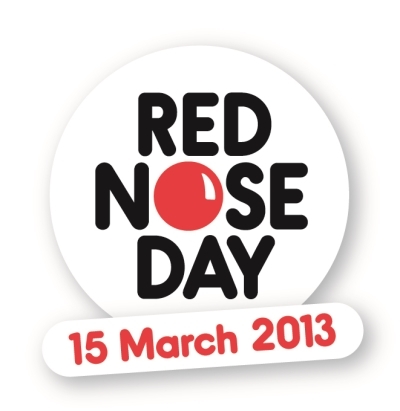 Today The B & B Directory www.thebandbdirectory.co.uk is celebrating Red Nose Day for Comic Relief 2013. The concept is simple – everyone has a laugh whilst raising money to help change countless lives across the UK and Africa. Every two years, thousands of people do something funny for money. They do it at home, at work, in schools and, well just about everywhere! They even do it on TV, with the BBC giving celebrities and comedians an entire evening to entertain the nation whilst urging them to donate generously. Comic Relief’s mission is to drive positive change through the power of entertainment. http://www.thebandbdirectory.co.uk/advertise.php and call us on the telephone number provided. 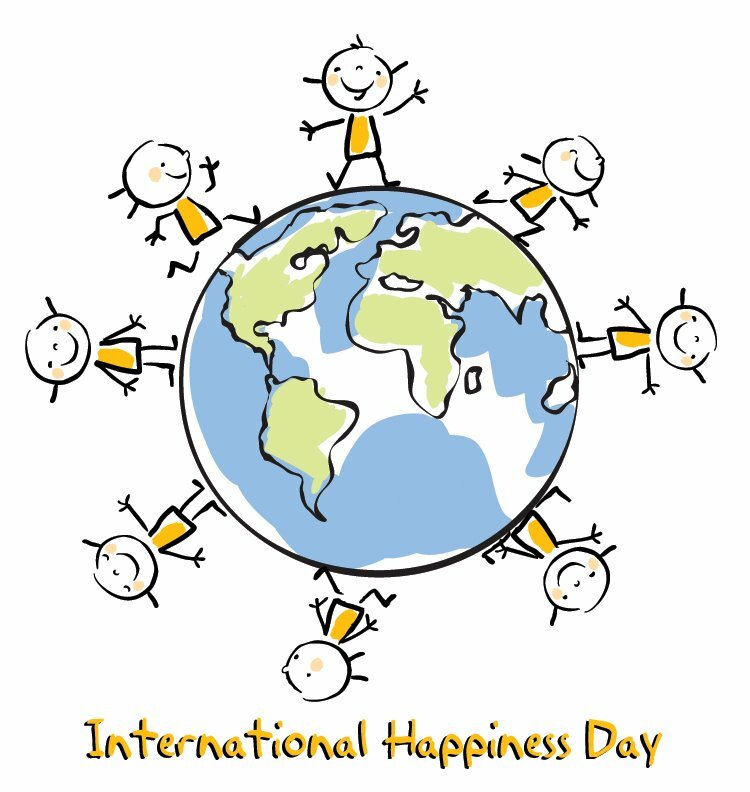 · All employees attending work in pyjamas are to pay £1. 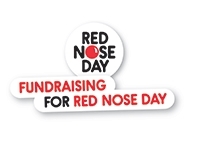 · As we celebrate a colleagues birthday today, for every order taken there is a Red Nose picture on the wall with a question and amount written in £’s on the back. Get the question right and the amount goes to Comic Relief as well as towards the internal company challenge however get the question wrong and the amount will ONLY be donated to charity. The B & B Directory www.thebandbdirectory.co.uk takes part in this event every year and makes it a fun and entertaining day but we all remember why we are raising money towards this charity so close to people’s hearts. Previously we have all baked our own cakes and sold them to companies nearby to raise money and all employees have thoroughly enjoyed it and, as always are excellent sports. 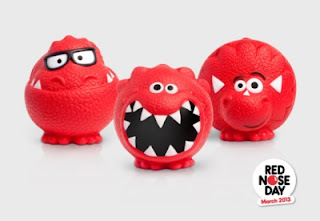 Don’t forget to watch Comic Relief is on BBC one tonight at 7pm. It’s a night of entertainment so massive, so stuffed full of comedy and so, well, so entertaining that it might just burst your television. It’s worth it, don’t miss it. As The B & B Directory www.thebandbdirectory.co.uk prepares to celebrate St Patrick’s Day this week, our website gives advertisers the opportunity to be a featured property for maximum exposure. 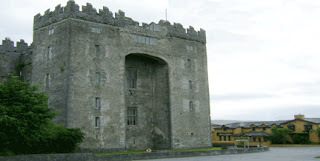 One of our featured properties is based in Bunratty in County Clare / Ireland. This B & B is decorated to the highest standards offering guests total comfort and relaxation in elegant surroundings and is situated within walking distance of Bunratty Village, Castle & Folk Park with ample guest parking. Thinking of visiting Cumbria? We have the perfect place for you to stay! Not sure on where to go on holiday? The B & B Directory www.thebandbdirectory.co.uk recommends you try Skiddaw Grove Country House based in Keswick, Cumbria. 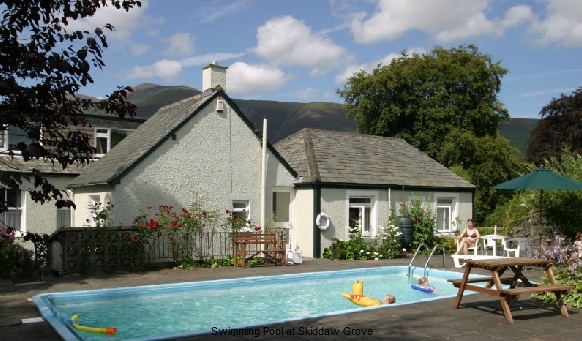 Our B & B of the month which can be found on the homepage of our website offers 4 Star Quality Bed & Breakfast accommodation in the vibrant market town of Keswick on Derwentwater in the English Lake District. You can browse the maps and guide books available for walks, tours and places of interest. Owner Diane can provide you with local knowledge to make your stay as enjoyable as possible – whether you need a picnic lunch for a day on the fells or tickets for the theatre by the Lake in Keswick. Keswick is a vibrant market town on the edge of beautiful Derwentwater. An excellent base for walking and cycling, there are also opportunities for sailing, horse riding, fishing and golf. Aside from the natural splendour, Keswick offers a wealth of local attractions and a wide choice of places to eat.